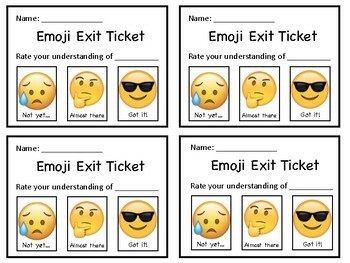 Emoji exit ticket good for any subject, using emoji's to describe their level of understanding. The three levels are "got it" "almost" and "not yet". This is used to see where students are at in their understanding of the specific task.